Mermaid and unicorn makeup are everywhere right now and I totally get it. Between the pastels, metallics and all the colours in between; they’re just pretty and fun. 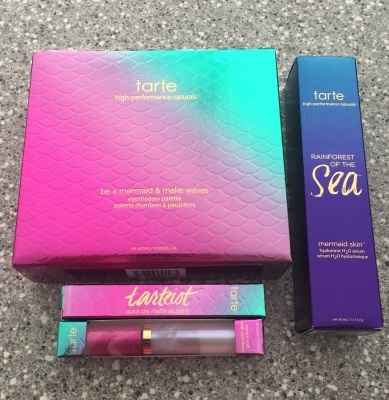 Tarte’s new Mermaid collection is pretty big and has everything from an eyeshadow palette, tons of lip options, brushes and skin care and it’s all got mermaid themed packaging. It’s hard to cover a collection that large in one go, so these are my Most Wanted from the Mermaid collection. Palettes are usually the focus of most collections and the Be A Mermaid & Make Waves collection is definitely a star. There are fourteen matte and metallic shades that range from neutrals to some pops of colour and the pigments are pretty great. 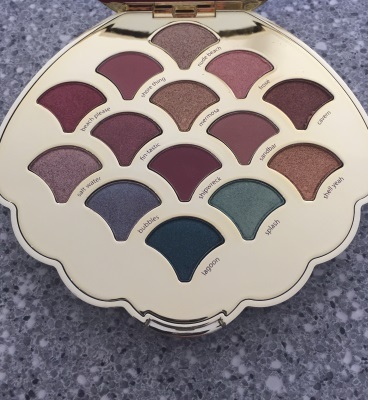 Tarte’s shadows are generally my go to’s from day to day and this palette is definitely getting a spot in my routine. 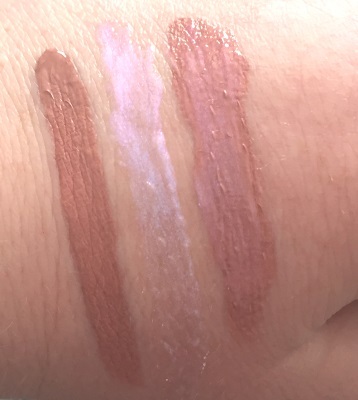 Two of my favourite lippies from the collection are the Limited Edition Tarteist Quick-Dry Matte Lip Paint in Exposed and the Holographic Lip Gloss. Exposed is a gorgeous neutral pink that doesn’t leave your lips feeling dried out and while I don’t love lip gloss, the Holographic Lip Gloss isn’t sticky or tacky at all and so, so pretty. You can use these separately or layer the gloss over Exposed as a topper. My absolute favourite from the entire collection is the Mermaid Skin Hyaluronic H2O serum. This vegan serum is packed with Hyaluronic Acid, Vitamin B5, Algae and marine extracts and keeps your skin super hydrated and glowing. It doesn’t have a strong scent and literally melts into your skin. It’s on the watery side, so you have to be quick applying it but it’s so worth it. It feels so nice. Now you’ll have to excuse me while I look into how to become a mermaid full-time.